Dr. Naik is an honors graduate of the University of California, San Francisco (UCSF) where she received her DDS (doctor of dental surgery) degree. During this period Dr. Naik also received outstanding clinician award and was inducted into National Dental Honor Society of Omicron Kappa Upsilon, which chooses its member based solely on merit and academic excellence in the field of dentistry. Her passion to work “with children” and “for children” made her pursue her advanced training in Pediatric Dentistry at the University of California Los Angeles (UCLA). During the Post- Doctoral Course Dr. Naik received training at the prestigious Rady Children's Hospital, San Diego, Ca. Here she received extensive training in all areas of children’s dentistry including treating medically, physically and developmentally compromised children, victims of trauma and hospital dentistry. Dr. Naik became board certified by the American Academy of Pediatric Dentistry. Following this, they awarded her the Diplomat status, which is the highest honor one can receive in the specialty of pediatric dentistry. Each year, Dr. Naik continues to study advances in Pediatric Dentistry and has completed numerous hours of continuing education in emergency and sedation dentistry. She holds a certificate in Basic Life Support and Pediatric Advanced Life Support. Over the years, Dr. Naik has spent time volunteering at health fairs and creating presentations for schools stressing the importance of early dental care. Dr. Naik currently enjoys spending time with her husband and two adorable sons. 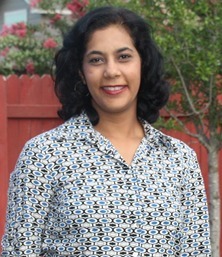 Prior to moving to America, she used to live and practice dentistry in India. She also practiced dentistry in California before moving to Austin. She now considers Greater Austin as home and loves the great weather and the natural beauty of the region. In her spare time, Dr. Naik enjoys cooking, playing tennis and watching movies. Cedar Smiles is based on preventative dental care, which is key in keeping children cavity-free. We are dedicated to providing the highest quality of dental care in a fun and friendly environment.